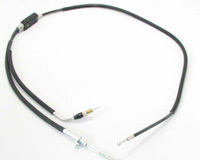 Armor-Tech Front Brake Shoes for Suzuki. 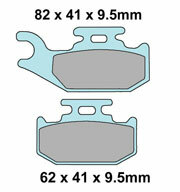 Armor-Tech Front Brake Shoes for Suzuki. OE quality at a much lower price! * Note, two sets are required to replace all of your front shoes. 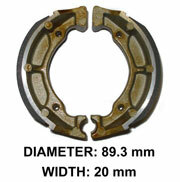 Armor-Tech Suzuki Rear Brake Shoes. OE Quality at a much lower price. 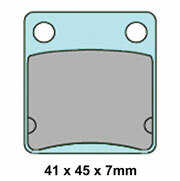 Same quality as expensive OEM pads at a much lower price. 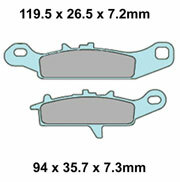 Armor-Tech Front Brake Pad kit, one set of rigth and one set of left pads. OE Quality at a much lower Price. * Note: two sets are required to do both wheels. rubber componets and pad hanger pins, if applicable. Made by Nissin. Everything you need to rebuild your FRONT Master Cylinder. Includes Piston, Seals, Spring and clips where necessary. Everything you need to rebuild your REAR Master Cylinder. Wheel Cylinder Rebuild Kit. 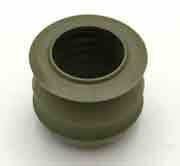 Includes 2 Pistons, cups, boots and springs and bleed cap when applicable. Note: will rebuild one or two wheel cylinders depending on how many pistons are in the wheel cylinder.